Are you very busy with your career and worry about cooking healthy food in a timely manner for your beloved family? No worries, Air fryer allows you to cook with little or no preheat and with little or no oil in half time than an oven. It’s a great innovation in cooking appliance indeed. 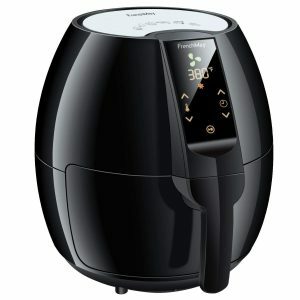 Frenchmay makes great air fryer that cooks great. We will present here Frenchmay Air Fryer Reviews to help you pick out the best air fryer. All the air fryers are not equal and you will not get all the conveniences from a single one. 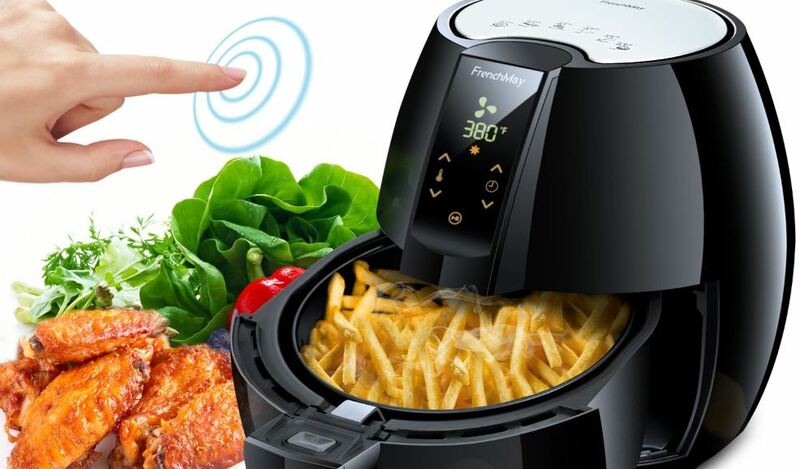 But luckily you will get most of your desired service from FrenchMay Touch Control Air Fryer. Let’s take an intimate look on the top feature of FrenchMay Air fryer including the good and bad. Hope it will help you to get an aggregate and deep knowledge before buying this product. The user interface and operational issue of FrenchMay Air fryer are very easy and simple. It allows you a fast cooking experience for all types of foods like the frozen egg to steaks. You can cook almost every food item including strongly flavored food like fish. Moreover, then it is safe for using a dishwasher. So, there is no extra hustle for cleaning purpose. You will find an intrinsic touch screen panel including the temperature, timer and ON/OFF button with the easy and eye-catchy design. You can set the timer for 1 to 30 minutes and temperature from 180-400 degrees Fahrenheit with 10 degrees Fahrenheit interval. It also allows you to make a custom panel for yourself. The cooking process completely depends on your timer setting. If the timers run out, the machine will automatically shut down. It helps to protect your food from burning. And the unit will automatically pause if you remove the tray during the cooking cycle. Simultaneously, it allows you the manual pause and on/off. The whole machine is made of metal, steel d plastic and the tray is coated with FDA approved PFOA free non-stick layer. It provides you the flexibility of oil use. As the basket is detachable and allows dishwasher, it is easy to handle and clean. You can cook up to 2 pounds of food with a 3.7-quart capacity at once without any hustle. Moderately sized and sleek black and silver appearance will suit any kitchen. The exterior part of the fryer remains cool during cooking and you can easily wipe and clean it. The frenchMay air fryer contains robust airflow technology with rapid hot air circulation from round and through of the food. Also, ensure you the alluring brown color crispier mode within record time. Easy to handle and clean. The appearance of alluring brown color. It doesn’t allow you heavy cooking. Prompt and reliable customer service makes FrenchMay Air Fryer outstanding brand. In products design, FrenchMay is unique and only a few brands can compete with them. 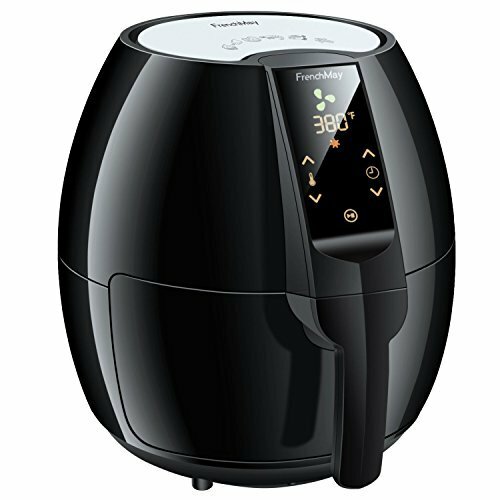 Compatibility with new technology is a unique feature of FrenchMay Air Fryer. FrenchMay provides quick products return service to the customer and they will refund you in case of your unsatisfaction. Overall, I recommend the couple and small family to buy this product because of its durability, simple user interface, and high performance.